Did God Foretell May 15th, 1948 – 2500 Years Ago? The re-establishment of Israel on May 15th 1948 was actually foretold by God 2520 Hebrew years before the event. In this article we are going to examine the prophecy that foretold the rebirth of Israel foretold by God. Israel became a nation at midnight May 14th ending, in 1948, upon the termination of the British mandate. Matthew 24:32 Now learn a parable of the fig tree; When his branch is yet tender, and putteth forth leaves, ye know that summer is nigh: 33So likewise ye, when ye shall see all these things, know that it is near, even at the doors. 34Verily I say unto you, This generation shall not pass, till all these things be fulfilled. Jesus is commanding you to learn about the restoration of the fig tree nation Israel and know that when you see it coming alive again, that you are in the end times season. He does not want you to be deceived and fall prey to Satan in the last days. Matthew 24:20 But pray ye that your flight be not in the winter, neither on the sabbath day: 21For then shall be great tribulation, such as was not since the beginning of the world to this time, no, nor ever shall be. 2 Thessalonians 2:3 Let no man deceive you by any means: for that day shall not come, except there come a falling away first, and that man of sin be revealed, the son of perdition; 4Who opposeth and exalteth himself above all that is called God, or that is worshipped; so that he as God sitteth in the temple of God, shewing himself that he is God. Daniel 12:11 And from the time that the daily sacrifice shall be taken away, and the abomination that maketh desolate set up, there shall be a thousand two hundred and ninety days. 12Blessed is he that waiteth, and cometh to the thousand three hundred and five and thirty days. 13But go thou thy way till the end be: for thou shalt rest, and stand in thy lot at the end of the days. God’s prophecies in the book of Daniel of the kingdoms and empires of Babylon, Persia, Greece and Rome all came to pass in minute detail. So why do Christians doubt the other prophecies concerning the end times? This verse also found in Matthew 24 and Luke 21 is used by Christian to somehow believe that Jesus wanted them to be blind of any information concerning the season of his return. However 1/3 of the Bible focuses on the return of Jesus and the events that happen in the last days. The prophecy in Ezekiel that gives the exact year of the rebirth of Israel combined with the command from Jesus to learn the parable of the fig tree, is a signal to those who have ears to hear. We should not date set or dwell on determining the exact day, but we should not be blind or ignore the command of Jesus either. Ezekiel was taken to Babylon along with Daniel when the 70 year punishment was given by God on the people descended from Jacob (Israel). Ezekiel 2:1 And he said unto me, Son of man, stand upon thy feet, and I will speak unto thee. 2And the spirit entered into me when he spake unto me, and set me upon my feet, that I heard him that spake unto me. 3And he said unto me, Son of man, I send thee to the children of Israel, to a rebellious nation that hath rebelled against me: they and their fathers have transgressed against me, even unto this very day. Ezekiel 3:17 Son of man, I have made thee a watchman unto the house of Israel: therefore hear the word at my mouth, and give them warning from me. 18When I say unto the wicked, Thou shalt surely die; and thou givest him not warning, nor speakest to warn the wicked from his wicked way, to save his life; the same wicked man shall die in his iniquity; but his blood will I require at thine hand. 19Yet if thou warn the wicked, and he turn not from his wickedness, nor from his wicked way, he shall die in his iniquity; but thou hast delivered thy soul. 20Again, When a righteous man doth turn from his righteousness, and commit iniquity, and I lay a stumblingblock before him, he shall die: because thou hast not given him warning, he shall die in his sin, and his righteousness which he hath done shall not be remembered; but his blood will I require at thine hand. 21Nevertheless if thou warn the righteous man, that the righteous sin not, and he doth not sin, he shall surely live, because he is warned; also thou hast delivered thy soul. The book of Ezekiel is one of the main books in the study of eschatology (End Times), because the prophecies that have already occurred were so exact and accurate. This lets us know that the future prophecies in this book will also be exact and accurate. When the watchman sees the end of the prophecy and the fig tree nation putting forth green new leaves, he is told to warn the people. Ezekiel 4:4 Lie thou also upon thy left side, and lay the iniquity of the house of Israel upon it: according to the number of the days that thou shalt lie upon it thou shalt bear their iniquity. 5For I have laid upon thee the years of their iniquity, according to the number of the days, three hundred and ninety days: so shalt thou bear the iniquity of the house of Israel. 6And when thou hast accomplished them, lie again on thy right side, and thou shalt bear the iniquity of the house of Judah forty days: I have appointed thee each day for a year. Over the years most people have read this and never made the connection with the punishment of Israel and 1948. However this prophecy as simple as it is, is profound. God is telling Ezekiel exactly how many years the house of Israel will be scattered and punished. Ezra 7:9 NLT – He had arranged to leave Babylon on April 8, the first day of the new year, and he arrived at Jerusalem on August 4, for the gracious hand of his God was on him. Leviticus26:17 And I will set my face against you, and ye shall be slain before your enemies: they that hate you shall reign over you; and ye shall flee when none pursueth you. 18And if ye will not yet for all this hearken unto me, then I will punish you seven times more for your sins. Cyrus released the people in 536 ~ 537BC according to the records found in archeology. A Hebrew Year is 360 days not 365 days based on the number of moons in each month. Israel became a nation at midnight May 14th ending, in 1948, upon the termination of the British mandate. 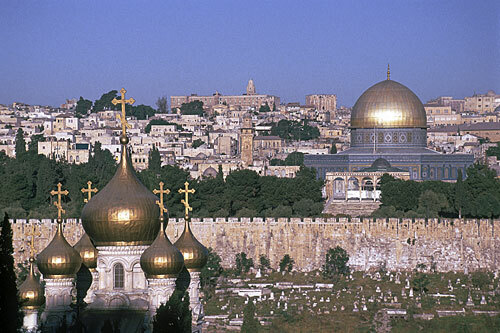 We know from the book of Ezra that the people had already made it from Babylon to Jerusalem by October. The Hebrew calendar year starts with the Gregorian calendar month April. Ezra 3:6 From the first day of the seventh month began they to offer burnt offerings unto the LORD. But the foundation of the temple of the LORD was not yet laid. 7They gave money also unto the masons, and to the carpenters; and meat, and drink, and oil, unto them of Zidon, and to them of Tyre, to bring cedar trees from Lebanon to the sea of Joppa, according to the grant that they had of Cyrus king of Persia. July 21st 537 BC definitely meets the year as God said: “I have appointed thee each day for a year”. There is no absolute data to point to the exact day in archeology, however from the calculation based on Julian Days, July 21st 537 BC is 907200 days backward in time from May 15, 1948. When Jesus says: “This generation shall not pass, till all these things be fulfilled”, he is telling us that the generation born in 1948 will not pass away until all the things he mentioned in Matthew 24, Mark 13, and Luke 21are all fulfilled. We are living in that generation of the fig tree today. This prophecy should open the eyes of those who live carelessly and feel they need not worry about the return of the Lord. The 70 Year prophecy was given to Daniel not all the tribes. This was the group taken by Nebuchadrezzar. All of those prophecies in Daniel 9, Ezekiel and Jeremiah all pertained to that group.